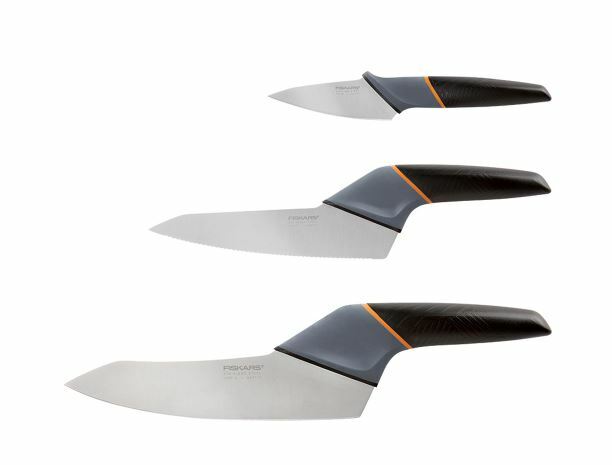 This 3-Piece Set Includes one 8” Chef Knife, one 6.5” Serrated Utility Knife, one 3.5” Paring Knife and blade guards for each knife. The knives and blade guards are dishwasher safe, features a premium, Japanese-grade, stainless steel blade for lasting sharpness. The knives come with a full lifetime warranty.